Quintessential Equity has been recognised as an Employer of Choice in The Australian Business Awards 2016. 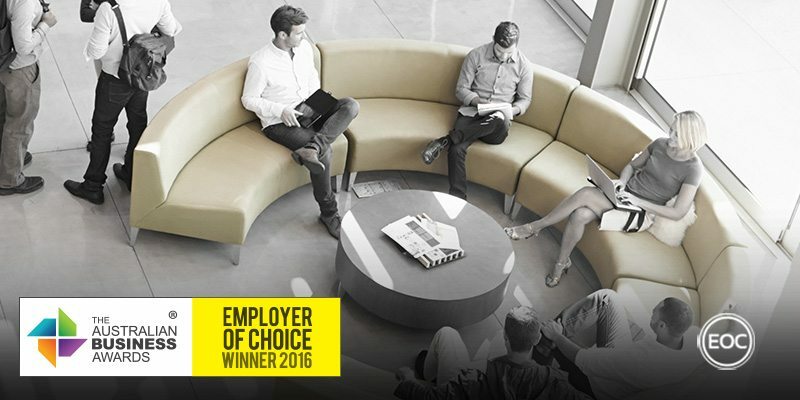 “Recognition as an Employer of Choice reflects our core principles and our commitment to the amazing team we have. Established in 2010, Quintessential Equity provides wholesale clients investment opportunities in medium to large scale property assets capable of returning high yields and strong capital growth. Quintessential Equity employ a team of 15 people, who work within a company ethos that emphasises integrity as the essence of success. Quintessential base their workplace culture on integrity, respect, responsibility, innovation and sustainability – which are designed to foster a collaborative company culture where staff support one another and enjoy working together. Workplace culture aims to nurtures talent, embrace diversity and reward outstanding performance. Managers strive to be un-bothered by mistakes, rather they are almost encouraged as there is a belief that they breed from innovative thinking, which they believe is always worth the risk. This is closely tied to the company’s professional development commitments, which include an internal mentorship program that allows junior members to work alongside co-directors. The importance of celebrating success is recognised by a practice that includes a large brass-bell in the middle of the office, which is rung to mark achievements by staff members. Quintessential have also introduced an employee incentive scheme referred to as the ‘Quintessential Profit Share and Direct Investment Scheme’. The incentive scheme allows employees to co-align their own successes with that of the company. It also allows employees to invest in properties they are directly involved with every day. The company is preparing to significantly overhaul its HR practices, with the launch of a new online system that will act as a centralised platform to house all HR and talent management processes. This system will help to ensure the effective continuation of existing HR principles including tailored induction processes that include one-on-one meetings with all employees, flexible working arrangements and a $200-dollar allowance towards health related items such as gym memberships. Employees are encouraged to undertake external professional development including post-graduate qualifications, which is designed to complement internal peer-to-peer training. Additionally, regular two-way performance reviews are conducted allowing staff to give and receive feedback with management. Employee health and safety is a shared responsibility at Quintessential and is embodied through their ‘don’t walk past something that’s broken’ which encourages OH&S initiative and vigilance.